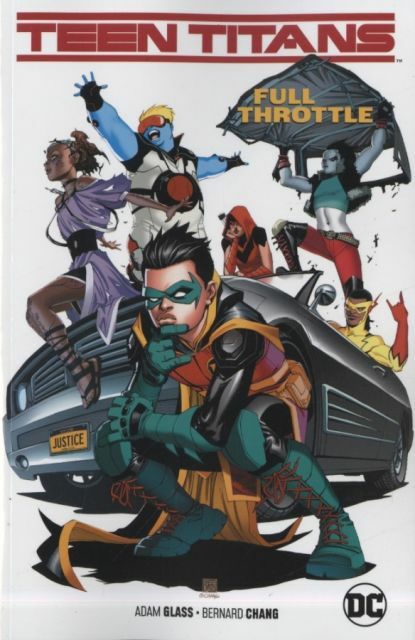 Tag along with the Teen Titans as they discover a new beginning without the supervision of their elders. Introducing brand-new characters like Crush, Lobo's illegitimate daughter; Roundhouse, a shape-shifting superhero noob, and Djinn, an 8,000-year-old genie who's just been let out of her bottle. With a new team behind him, Robin is building something in secret beneath the new Teen Titans HQ. Don't miss these tales from TEEN TITANS #20-24 and TEEN TITANS SPECIAL #1.